Office Space - Watton, Norfolk. This business centre aims to provide the best office solutions to emerging companies in the technology sector. A recently renovated building provides fully furnished office space combining excellent facilities and office services with access to vital information services to help new businesses thrive. 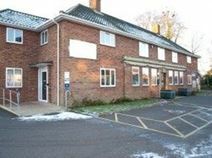 The setting is Watton, a bustling market town within an area of traditional farmland, winding roads and tiny communities. The centre is a short drive from major transport hubs and within easy reach of local services and attractions. Rents are all inclusive and 'easy in, easy out' for maximum simplicity and flexibility.